Over here at B-Sides, we don’t like to brag, but we have a tendency to snag interviews with artists on the cusp of blowing up. 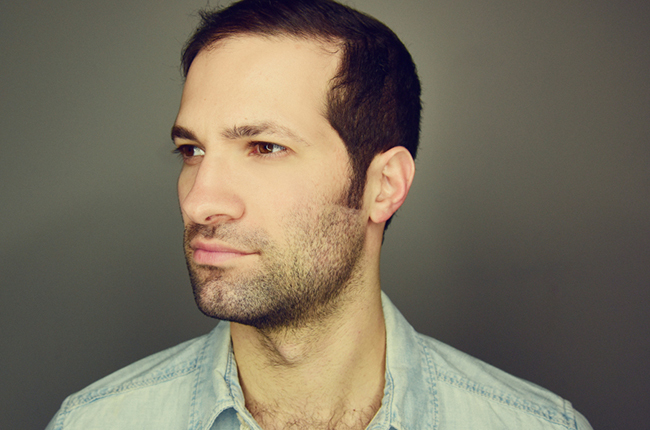 *cough*Hozier*cough* We have a pretty good feeling about this guy Todd Lewis Kramer, whose debut album Fairground is dropping May 13th. He’s released a couple singles, and if they’re any indicator of what the album promises to deliver, you’re gonna wanna get on the bandwagon now, before it’s too full. We were able to get Todd on the phone, and he proved that his music wasn’t the only thing charming about him. B-Sides: What were some of your primary influences on the album? Todd: It was a combination of things really. These songs have grown over the years, as I’ve been working on some of these songs over the past six years or so. I’m a really big fan of pop music, and a great clean sound. I’d say one of my biggest influences has been Ryan Adams, who I got into about five years ago. He has that great country sound, that’s not too country. B-Sides: Is there a song on the album that means the most to you personally? Todd: Yea, definitely I would say the fourth track on the album, Anna. It’s the most personal song on the album for me. I wrote it when I was younger, and someone I knew was going through a tough time. They came out on the other side of it okay, thankfully, but I wrote the song with real no intention of it seeing the light of day. It wasn’t even supposed to be on the album, but we needed ten songs. I wanted the album to be ten songs, so I brought it to the band last minute, and it really just came together beautifully. B-Sides: Was it difficult to write that song? Todd: It was yea, but it felt necessary. Playing it live was even harder I think. It’s really intense and you can sense a different connection with the crowd when I play it. I think that was a big hurdle for me to overcome personally, playing that song live. B-Sides: Will you be touring with the full band, or just solo? Todd: Right now, with the band. It depends on the show, but it’s more fun with the band. It feels more conducive to the sound of the album to perform it with the full band as well. I do mix in some solo performance into the show as well though, for some diversity in the set. I strip down some songs, and that way it feels a little more intimate with the audience. B-Sides: Is there anything you like to do with your downtime on tour, aside from writing music? Todd: Uhm, well I really like to eat. (laughs) I like to eat, and move around. It’s not a crazy long tour, we’re staying pretty regional. But I like to spend time in the city and get a feel for the town. It’s awesome to see the cities we’re in, meet people. If you just get there ten minutes before check in, and then leave right after the show, you can sort of forget where you are. B-Sides: That’s definitely gotten some bands in trouble before! B-Sides: You might have already sort of answered this question, but what would be your dream collaboration as far as songwriting? Todd: Well yea, Ryan Adams is definitely a hero of mine in that regard. Another one I guess would be James Taylor. He’s a guy I’m really nostalgic for. My mom loved him growing up. I come from a big family, and I remember listening to him and The Beatles a lot on the way to ski trips and things like that. He’d be a guy where not only would I be like, this is so cool that I’m getting to write music with you, but also just really nostalgic to be there with him and see him perform. B-Sides: Okay, last question, it’s sort of a goofy one, but are you familiar with the Marvel movies at all? Todd: I can’t say I’m too invested in the movies, but I have seen Iron Man. B-Sides: (laughs) Fair enough, I was just wondering, with the new Captain America: Civil War Movie coming out Friday, if you had a preference for Team Cap or Team Iron Man? Todd: I guess I’d have to say I’m an Iron Man guy. Again, I’m not too knowledgeable on all the marvel movies, but I guess I’m just a sucker for Robert Downey Jr. I think he’s just got the charisma and skill. But I’m really not well versed on the topic, so it’s hard to say. B-Sides: (laughs) I’d hate to have you strongly commit to one and lose some of your fans who are die hard comic fans. What’d we tell ya? Super nice guy, with some kickass tunes to boot. Todd is embarking on a small trek over the next month or so, hitting spots in NY, CT, and Boston, so make sure to catch him in a more intimate venue while you can. And remember to pick up his new album Fairground on May 13th. And if you don’t, then don’t say we didn’t tell ya so when you’re kicking yourself down the road!